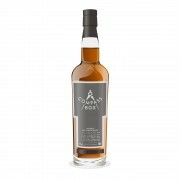 'The Peat Monster' is a blended malt that has been part of Compass Box's 'Signature Range' since 2003. While it did change over the years, the composition of the current regular version that I am reviewing here appears to be as follows: 40% Laphroaig, 26% Ardmore, 20% Ledaig, 13% Caol Ila, 1% others (Clynelish, Dailuaine, Teaninich). The nose is lightly fruity with notes of oranges and lemons, together with brine, cereal and a delicate grainy note. Later on, there is a slightly phenolic touch, followed by unmistakable wet dog flavours reminiscent of young Caol Ila. The palate is medium-bodied, oily and spicy. 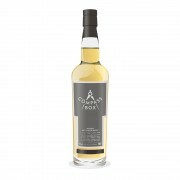 Peat flavours explode on the tongue and are followed by smoked bacon, seaweed, white pepper, and a hint of cinnamon. The finish is long and warming, and gets rather ashy towards the very end. I absolutely love 'The Peat Monster' and it has remained one of my favourite expressions coming from Compass Box. Starting with the multifaceted nose, to the boisterous palate and the ashy finish, this works for me, from beginning to end. Well done, John Glaser and team!